The object of any restoration is to return a vehicle to its former glory. Whether that be to original factory specification, upgraded for an improved driving experience, or simply rejuvenated for the modern era to reflect the owner’s personal tastes. We take a meticulous approach to every project, following a clearly defined process and employing tried and tested project management skills, ensuring as every vehicle leaves us, it’s structurally and mechanically as good, if not better, than the day it left the factory. All LuxClassics restorations are overseen by Parry Chana, who has served as a Concours judge at many events. He has completed many well known restorations, many of which have been Concours winning cars, featured on TV documentaries and in the press. We strive for excellence, but principally we aim to achieve our customers’ vision whilst managing and meeting their expectations. We pour thousands of hours of craftsmanship, skill and enthusiasm into every project. Our team of passionate, marque specialist technicians are able to draw on a wealth of traditional skills and knowledge to undertake any level of restoration work, from engine tuning to full strip-down rebuilds. We have skilled metal fabricators able to hand-make new panels, and reverse engineer any components no longer available to craft new items. Quality of finish is paramount to us. The use of industry leading paint technology always ensures a stunning finish – and interiors can be produced to exceptional levels of quality. Our trim shop is not only capable of matching the original colour of leathers, but their textures and grain too. Consisting of a walk around assessment, and through studying all available photographs and/or video, the first stage results in a rough cost estimate of the works. Focuses on defining the scope of work through further physical examination to provide a more accurate cost estimate. At this point, both the LuxClassics team and the client agree on the project. Marks the start of the restoration works, beginning with disassembly; removing and identifying all parts from the bodyshell. We believe this is the only way to determine the true condition of a classic vehicle. This is the reconstruction stage. 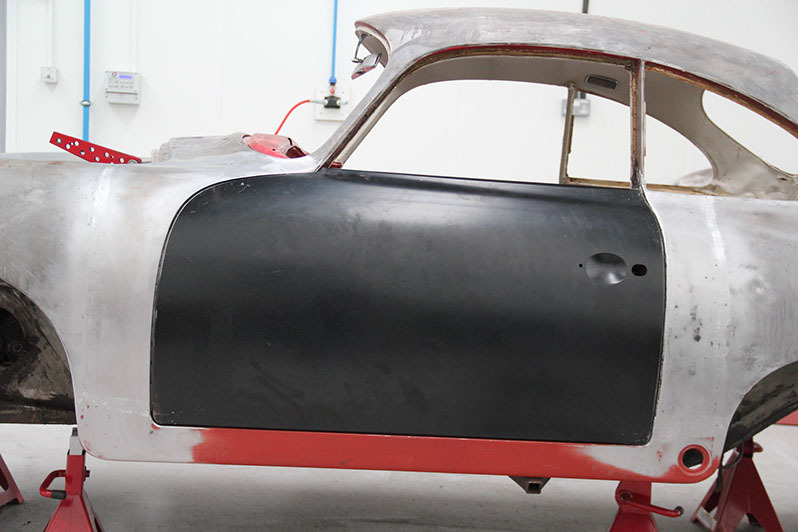 Bodywork is returned to original condition receiving all required panel work, metal fabrication and paint. The mechanical parts, including engine and gearbox are stripped, machined and re-assembled to perfect working condition whilst the body trim and interior are refurbished or replaced as required. Consists of a road test, followed by setup modifications to ensure the car performs and drives perfectly. Finally, the finished vehicle is photographed and presented to the client along with its hardback documentation folder. 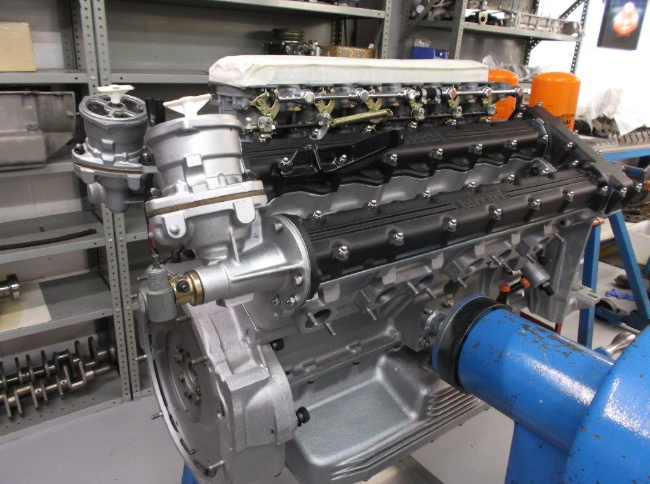 V12 Engine built to standard specification to next stage – Dyno run-in & tested. Weber 40 DCN/20 Carburetors – stripped re-engineered & re-built to specification. Detailing including all aluminum either vapor blasted or hand cleaned with chemicals on critical components & power coating to cam covers.